Geriatrics or geriatric medicine is a specialty that focuses on health care of elderly people. It aims to promote health by preventing and treating diseases and disabilities in older adults. Geriatrics differs from standard adult medicine because it focuses on the unique needs of the elderly person. The aged body is different physiologically from the younger adult body, and during old age, the decline of various organ systems becomes manifest. Previous health issues and lifestyle choices produce a different constellation of diseases and symptoms in different people. The appearance of symptoms depends on the remaining healthy reserves in the organs. Smokers, for example, consume their respiratory system reserve early and rapidly. Geriatricians distinguish between diseases and the effects of normal aging. For example, renal impairment may be a part of aging, but renal failure and urinary incontinence are not. Geriatricians aim to treat diseases that are present and achieve healthy aging. 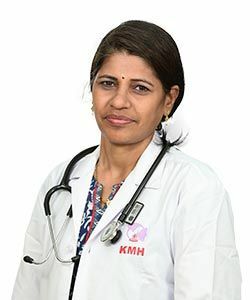 At Dr.Kamakshi Memorial Hospital, we have pioneered a new model for geriatric medicine. Our top-rated physicians are simultaneously helping to manage the health of mature adults while enhancing the patient experience through the aging process. Our specialized programsisdesigned to improve elderly patients independence, and well-being. Whether you are living with memory loss and dementia, diabetes, arthritis, high blood pressure, or immobility, our goal is to improve your overall quality of life, while providing support and education for your family members and caregivers. When older patients are acutely unwell and require hospital treatment, we care for them as inpatients. We work very closely with other specialities and disciplines brining them back to lead a normal and healthy life.